Heat of the Moment is the last exhibition in the 2015 Radakovich 21st Century Award competition, juried by Arline Fisch and Jean Radakovich. Celebrating sculptural adornment and art of the 21st century, viewers are invited to try on artworks and reflect on the stylistic, technical, and cultural connections between the 20th mid-century modern masters and this century’s contemporaries. 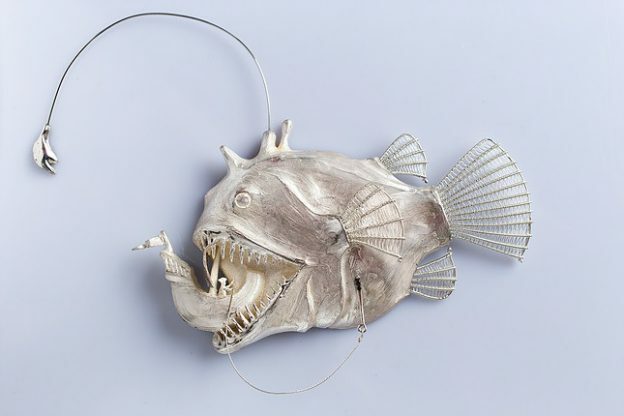 Maja Houtman’s contribution for the exhibition was the brooch The Catch. This entry was posted in Exhibitions on 01-08-2015 by Janjaap.